Whether it’s the ergonomic design for work comfort, economic value of cost-effectiveness, ecological considerations for a healthy planet or the added enjoyment of eye-pleasing visual technologies, BL2400PU is the perfect business solution to meet your every day needs. For office workers in this digital world, working on computers all day long have already become a part of their daily routine. However, "routine" doesn't equal to "normal" or "healthy". Prolonged periods of computer use at poorly designed workstations result in burning eyes, neck and shoulder stiffness and back pains – conditions which may lead to serious health consequences as well as cause work quality, productivity and efficiency to suffer. 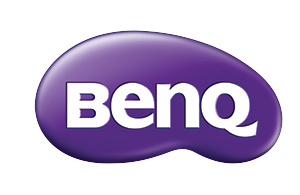 Designed with computer ergonomics in mind, the BenQ BL2400PU keeps office workers and their work performances healthy and strong. The result? Completely satisfied clients – with you comfortably ahead of the competition. A glare panel – whether it's caused by a direct or reflected light source – makes it a challenge for office workers to see clearly without straining their eyes. 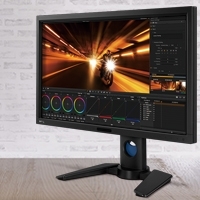 The BenQ BL2400PU LED monitors feature an anti-glare, matt-finish display to keep distracting reflections to a minimum, so office workers can work through their day-to-day tasks with well-improved efficiency – squint-free! A penny saved is a penny earned! 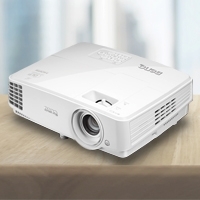 With the day-to-day operating expenses of utilities, repairs and maintenance impacting your clients' business revenue, a thorough cost-down game plan like what BenQ's BL2400PU has to offer would certainly make the top of their list on what to look for in business solutions! BenQ has added built-in speakers to the BL2400PU to boost the appeal of your business solutions! Not having to buy separate sound systems means your customers get to save up more money! 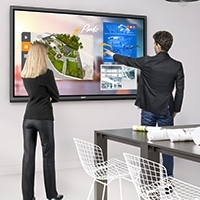 The BL2400PU are built to give you seamless DP connectivity that fits perfectly with just about any input device – without rendering your customers' existing equipment obsolete. Ingeniously light and slim styling makes the VW Series a desirable addition to your home décor! Whether it’s the stemware-like neck of the monitor or the smooth curvaceous back design with gold rim, these gorgeous monitors add a touch of sophistication to any room – exuding a tasteful, elegant and fashionable sense of space. •One (1) year from the purchase date by the original retail purchaser (the “Customer”) (except for refurbished units which have a separate warranty policy) parts and labor only (No advance replacement).